Former United States Secretary of the Navy John Lehman examines how President Ronald Reagan changed America's defense strategy on the seas in the new book Oceans Ventured: Winning the Cold War at Sea. 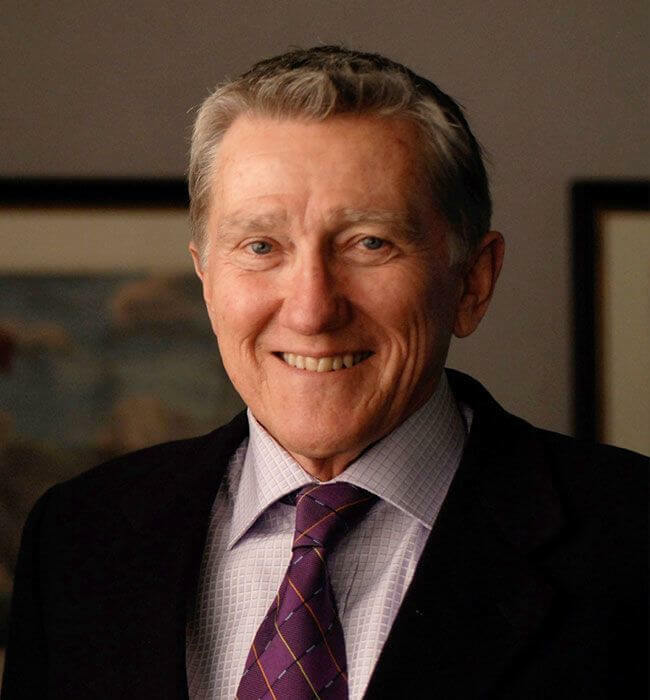 Lehman's position as one of the chief architects and leaders of the navy's Cold War resurgence have him unprecedented access and unparalleled insight into the personalities, theories, and command decisions that helped America win the Cold War. One of Reagan's platforms when he ran for President in 1980 was that he would rebuild the U.S. Navy, assert American naval dominance around the globe, and reframe the nation's Cold War strategy. "The dramatic change in America's global national security posture by the Reagan administration took the Soviets by surprise," writes Lehman. "They had spent more than a decade dealing with presidents and administrations mired in Vietnam, coping with internal strife, and striving for detente with the Communist world. Ronald Reagan's aggressive rhetoric on the 1980 campaign trail was reminiscent of that of Richard Nixon a dozen years earlier, and the Politburo assumed that once in office, Reagan thought his predecessors had allowed America's military power to slip dangerously behind that of the Soviets - and therefore had diluted its guarantees to the rest of the free world and its credibility as a deterrent to Soviet aggression and adventurism. Once in office, he told his national security establishment, including the military, that it was time to surge back. "The military deterrent offensive he launched was on many fronts. He increased the defense budget. He rebuilt the armed forces with new army divisions, a new strategic bomber, and intercontinental ballistic missile. He reactivated battleships. And he bought four new nuclear aircraft carriers to name the most visible. He revised the rules of engagement. He engaged with and backed up key allies - who responded by backing him up. He supported anti-Communist forces all over the globe. And he sent the U.S. Navy forward. "Instead of choke point barriers and convoys, the Soviets now faced offensive naval strike forces off all their major naval bases. Instead of scripted exercises and stale scenarios, the Soviets now faced imaginative new U.S. and allied operational concepts and tactics. And instead of a western naval posture centered on resupply of armies in Germany, the Soviets now had to face major concentrations of naval power in the Norwegian Sea, northern Norway, the eastern Mediterranean, and the Arctic and western Pacific Oceans - while America's allies expanded their own roles in protecting the sea-lanes." America's naval power began to decline after World War II. After the epic maritime conflicts of the war, the role of the navy was increasingly limited to supply and support operations. The Cold War policy of detente and the notion that naval forces would take on a reactive containment role in the future led presidents and military leaders to allow U.S. naval forces to shrink toward irrelevance. This role started to shift during the administration of Jimmy Carter, but he was not a strong proponent of naval power, as he cut the navy's budget and its primary role was limited to keeping American logistics chains open and escorting convoys. At this time, a group of enterprising and visionary naval leaders began to reconceive of the navy as an offensive, not defensive, force. Along with Lehman, the team consisted of Chief of naval operations, Admiral James Holloway; commander in chief for the Atlantic, Admiral Ike Kidd, Jr.; commander of the Seventh Fleet, Vice Admiral Thomas Heyward; the innovative while controversial strategist, Captain James "Ace" Lyons. They envisioned a new direction for the navy with the ultimate goal of naval supremacy." When Reagan took office in 1981, this new way of thinking became the navy's playbook. "A centerpiece of Reagan's campaign had been naval rearmament and maritime superiority," writes Lehman. "After winning the election, he set about selecting his national security team to implement it: Richard Allen as national security adviser, Al Haig at State, Cap Weinberger at Defense, Bill Casey at CIA, and for the navy, me. This team was in place by the end of February 1981. "During the transition between the election and the inauguration, he met often with his team to be ready to implement his strategy immediately after being sworn in. He approved the navy launching a massive exercise to demonstrate his new policy before the end of his first year in office. "On July 16, 1981, Vice Admiral Lyons, on the deck of the command ship USS Striking Fleet and the NATO Striking Fleet Atlantic. The U.S. Navy had established the Second Fleet after World War II, with responsibility for operations throughout the Atlantic Ocean, from the Arctic and the Barents Sea all the way south to the littoral of Antarctica, and from the east coast of the Americas to the shores of Western Europe and Africa. Thus the Second Fleet commander had responsibilities for Caribbean military contingencies, as well as for training navy forces deploying to join the Sixth Fleet on permanent stations forward in the eastern Mediterranean. It was the Second Fleet that President Kennedy had called upon to conduct the 'quarantine' operations against the Soviets around Cuba during the 1962 Cuban Missile Crisis; and President Johnson had tasked it in support of the U.S. military intervention in the Dominican Republic in 1966. "When the NATO alliance command structure for the North Atlantic was set up int he early 1950s, the U.S. Second Fleet commander received an additional responsibility and designation (a 'double hat,' as they say in the navy): commander of the NATO Striking Fleet Atlantic. To carry out his different national and alliance function, he was supported by a U.S.-only Second Fleet staff and by a multinational NATO staff, at separate headquarters in Norfolk, Virginia. Most of the time he operated in his U.S. capacity, but at least once a year in his NATO role as he assembled the alliance's striking force assets and operated across the Atlantic as far as the Norwegian Sea in large multinational at-sea NATO exercises. Were war to occur between the Warsaw Pact and NATO, he would fight as NATO Striking Fleet commander, coordinating as necessary with other NATO Atlantic and European commanders and forces." The first big statement of this new strategy came on August 1, 1981, when the United States led its NATO allies on a massive naval exercise stretching over 64,000 miles, from the East Coast of the United States to the Mediterranean Sea to the Arctic Ocean. Called Ocean Venture, it was the largest naval expedition ever held: 14 nations committed more than 120,000 service personnel, 250 ships, and 1,000 aircraft. Controversially, Ocean Venture '81 included operations in the Baltic Sea, considered by many on both sides of the Iron Curtain as secure Soviet territory. By advancing blatantly into the Baltic, the U.S. sent a clear message about America's resurgent naval capabilities and the nation's willingness to meet potential Soviet threats head-on. 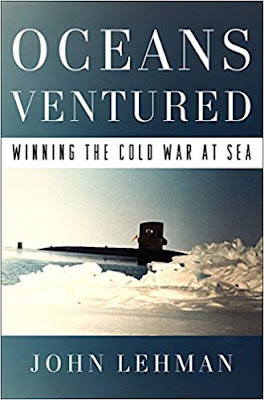 "Ocean Venture '81 was bold and deliberately provocative, the opening gambit in President Reagan's plan to rebuild the U.S. Navy, assert American naval dominance around the globe, and reframe the nation's Cold War strategy." This is one of the best books you will read on how the United States won the Cold War, and with the world shifting rapidly, it is a good moment to reflect on that era.